This week on Sips & Spoilers, we’re keeping Portland weird. The show: A quick synopsis: There’s actually not much of a synopsis with this show. Are you a big fan of Saturday Night Live, specifically in the past 10-15 years? If so, you’ll enjoy Portlandia, the sketch show from Fred Armisen (formerly of SNL) and Carrie Brownstein (formerly of Sleater-Kinney). The IFC comedy is a send up of all things hipster as Armisen and Brownstein create sketches and characters roasting the Portland way of life. Here’s the two discussing one of the most famous sketches with Conan O’Brien. The pairing: Crooked Stave isn’t based in Portland, but they are located in the hipster-friendly Denver. 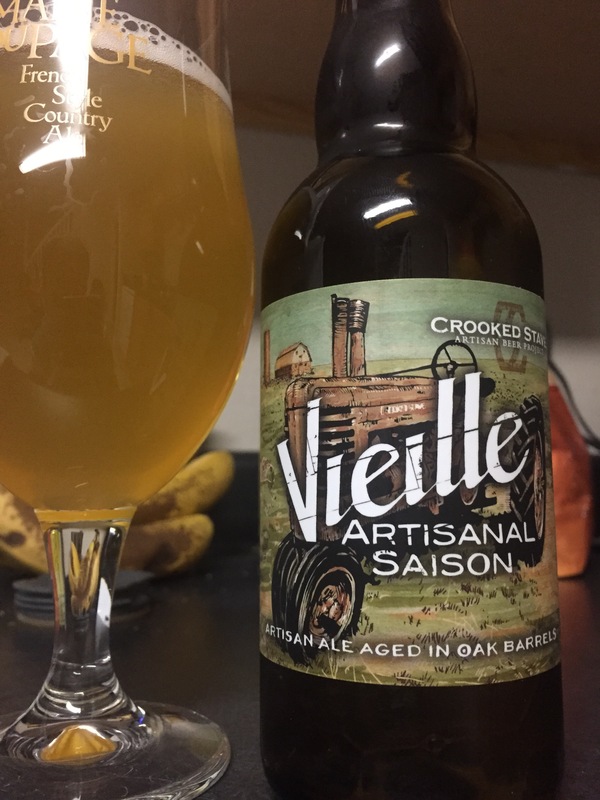 Vieille Artisanal Saison is a delightfully complex saison. The front end is very tart, but the beer quickly turns dry to leave a hoppier Saison taste in the drinker’s mouth. It’s hard to give a comparison, because it’s not like anything I’ve had before. But fans of sours and Saisons should be happy. Portlandia falls into a similar theme with Vieille: it’s not for everyone. The humor of Portlandia can be very heady at times, and if you haven’t been watching since the beginning you probably haven’t grown to love Fred and Carrie’s various characters. But the two are easy to love. The episodes are only 20 minutes each, and most of the show is on Netflix, so catching up is fairly simple. And both the beer and the show are worth a shot. Vieille is one of the tastiest Saisons I’ve ever had, and Portlandia is one of the most creative and original shows on television. Both are a little weird and very rewarding.